The very first saxophone made in the United States was built by Gus Buescher (properly pronounced Bisher) in 1888 when he was a foreman for Conn. In 1894 Gus Buescher left Conn to start his own company, The Buescher Band Instrument Company. For many years, Buescher saxophones, as well as their other brass and wind instruments, competed well with Conn, Martin, King and Selmer. 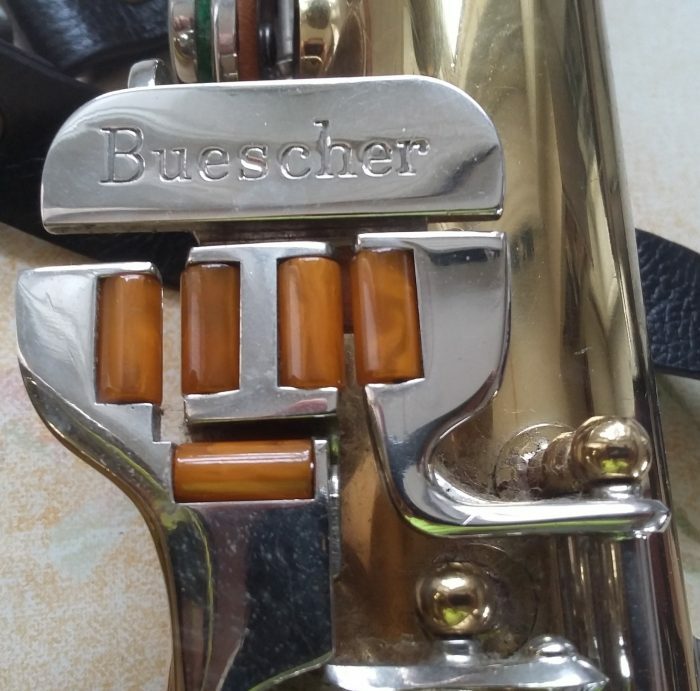 Buescher saxophones are noted for their rich and smooth sound. 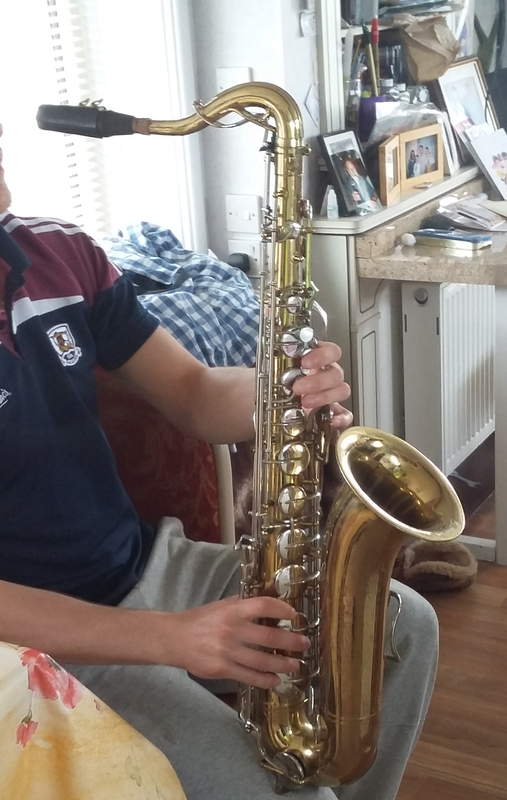 Sigurd Rascher, the well known classical saxophonist, author and teacher played a Buescher Tru-Tone throughout his playing career, and in jazz, Johnny Hodges sweet and soaring tone was played on a series of Bueschers, most notably an Aristocrat and a 400. Sonny Rollins also played a Buescher Aristocrat tenor early on such recordings as ”The Bridge”. 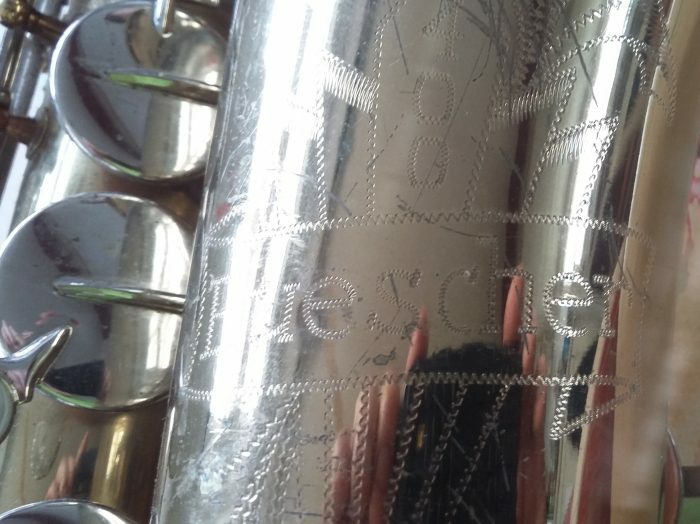 Later on, Selmer bought the company and that ended their production of high quality professional horns. At the end of WWII Buescher commemorated it with the production of the 400 line. Its model run continued until the 1970’s, but the best and most sought-after models are the first and second series, with a Top Hat and Cane engraving. 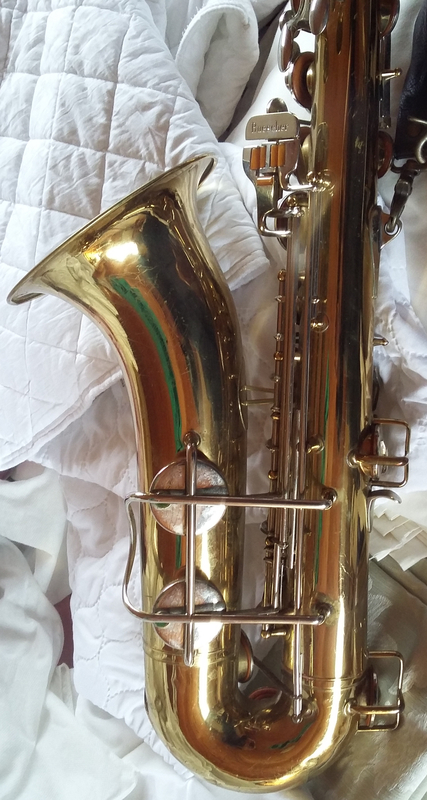 It also featured bell keys that were positioned to the rear of the bell, rather than to the left side like other American saxophones, or to the right like Selmer. The bell flare was also larger than any other saxophone, the prototype to many modern saxophones today. It also sported an underslung octave key similar to the King Super 20. Johnny Hodges had a custom-made model with more elaborate engraving on te bell and neck.